The Soho branch of Wright Brothers has had a little makeover, with a new look, a new menu and new barrel-aged cocktails, and it’s re-opening the doors this October. The space itself has been designed by Macaulay Sinclair and features a captain’s table and octopus mural on the ceiling, as well as two outside terraces, both heated for year-round al fresco action. Head Chef David Jones has given the menu a face lift; classics like the WB seafood platters and oysters are staying put but will be joined by small plates like pan fried red mullet with Asian slaw; teriyaki cod collar with BBQ hispi cabbage; and cameron roja ceviche with crispy prawn heads with poke bowls and po’boys joining the express lunch menu. 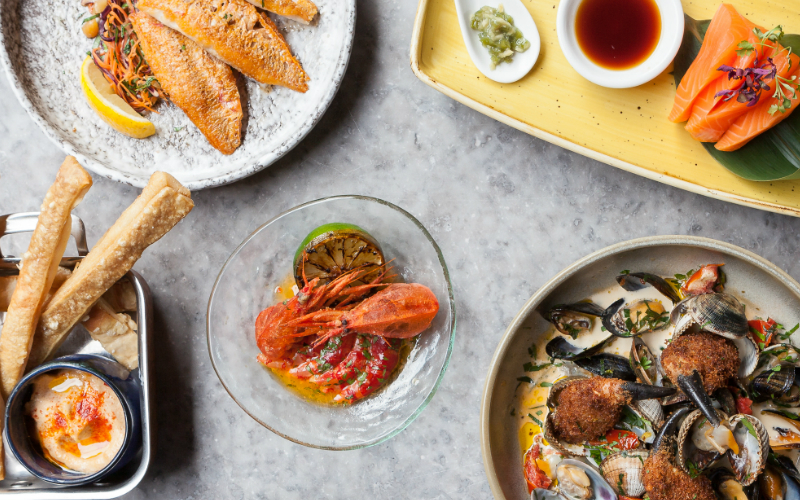 To celebrate the relaunch, Wright Brothers is knocking 50% off food on 5th October (lunch only) and then from 8th – 10th October (lunch and dinner), so book in if you wanna bag that discount. And on 11th & 12th October, they’ll be shucking 300 oysters for FREE from 5pm until they’re all gone, so you can just turn up to the shucking cart and help yourself.